UNION FLEURS has celebrated on 28 & 29 March its 60th Anniversary on the occasion of its Annual General Meeting. 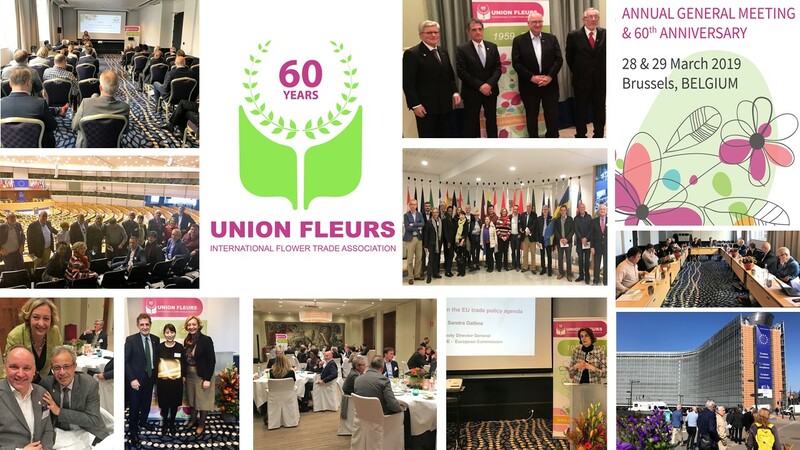 Our most sincere thanks to all our members, partners, friends & network who travelled from Japan, Colombia, Kenya and all over Europe to celebrate together this milestone in Brussels, where Union Fleurs was founded in September 1959 and where the association’s office is based since 2011. We have had an intensive programme of meetings, visits to the EU institutions, networking and celebration over the 2 days with hopefully a lot of insights & information to take back home for our participants. Many thanks to the various speakers from the EU Institutions and beyond who have contributed to the content of our meetings, and to the various Embassies of our member countries who have joined our festive evening on 28 March! UNION FLEURS looks forward to keeping serving the interests of its members and the flower businesses & industry at large for many years to go! 60 years young and counting!